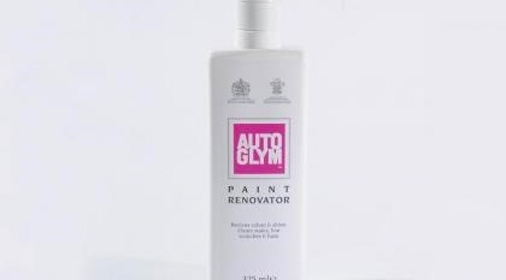 Thinking of getting a car respray to update the colour or restore a showroom-new look to your vehicle? If you need more than a paint repair or want to change styles, repainting could be the way to go. 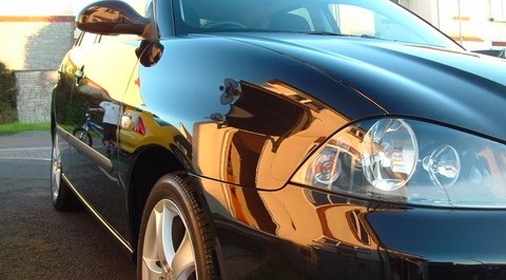 We’ve helpfully rounded up the 5 facts you need to know before you book that car paint job. If you are a car whizz and have dedicated significant amounts of time to learning how to respray a car, you have a good space to work, the right equipment and safety gear, it may be that you are ready to take on the work yourself. As with expensive building work, like driveway installations, it’s important to do your homework before appointing a paint respray company. Don’t be tempted by bargain-basement prices – this type of work requires a high level of expertise and attention to detail. The car respray needs to be done on top of a completely flat, as-new surface, after you have had a professional car scratch repair or used a car scratch remover. Don’t count on a simple respray to fix rust or scrapes. As mentioned above, if the bodyshop needs to do this work it will add to the price you need to pay. One option could be to get ChipsAway to complete a repair first, as in the image above, and take it for the respray from there. It may end up being more cost-effective. There’s a lot of skill involved in just prepping the car before any of the actual priming or painting begins. It’s a pretty laborious task and there’s little room for error – it’s the difference between perfection and having to overlook those little areas where it’s not quite right. Get it wrong altogether and it can be very expensive to put right. Technicians will take off any removable trim elements before the paint job – rubber strips, mirrors, etc. and then mask off windows, lights, trims, alloy wheels (anywhere you don’t want painted!) with extreme care. These can be broken down – some garages claim up to 125 different steps to respraying a car! But the above are the essentials. 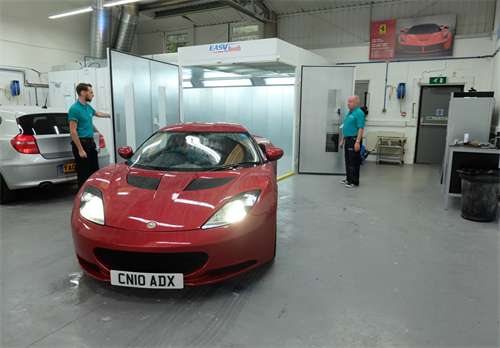 If you bear these facts in mind, your car will look as good as new with its new paint job, just like the Lotus in the ChipsAway Car Repair Centre below (we don’t carry out full resprays, but restore cars panel by panel). 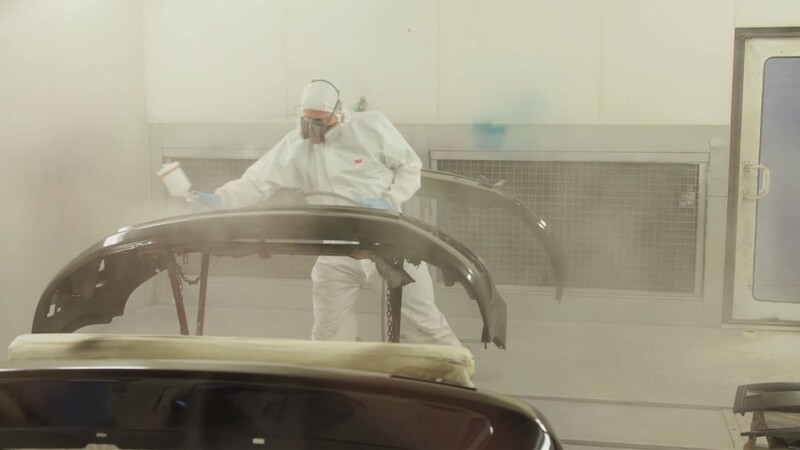 Of course, if you just need a repair for a car scratch, car dent removal or bumper scuff, or a respray on one panel, there’s no need to go to an expensive body shop to get the whole car resprayed! Just fill in our online form and your local ChipsAway technician will be in touch to provide a free, no-obligation quote.